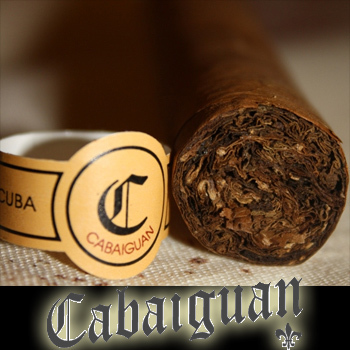 A medium bodied Cuban styled cigar, the Cabaiguan Cigar (pronounced Kah-by-GWAHN) features a Connecticut seed Share-Grown Ecuadorian wrapper. It is an earthy and spicy cigar, yet has a creamy quality to it. A Pete Johnson brand and produced by master cigar blender, Don Pepin Garcia, Cabaiguan Cigars have become one of the most rarest and genuine blended cigars produced by the Don Pepin cigar factory.